Whether you’re about to move to one of the prettiest boroughs in London, or are getting ready to leave behind the area’s riverside location and parks, we’re the perfect solution for taking care of your move. This is a busy residential location just a short drive from central London. We understand the need to be fast, efficient and secure. That’s why we will give you a full briefing first on where we’ll need to park, the easiest way to remove your furniture and appliances, and the best route for your onward journey. Luckily, the transport routes are excellent and we’ll be able to whisk everything away on the A3 to pastures new. We cover all areas within Putney, which covers Kingston Vale, the town centre, Putney Vale, Putney Heath, Richmond Park, right out to Roehampton, Roehampton Vale and Wimbledon Common. Because of its riverside location and close proximity to central London, this is an affluent, elegant area. We help you arrive or leave in style with a professional, discreet service that allows you to make a good first impression with the neighbours, or leaves a pleasant memory behind. 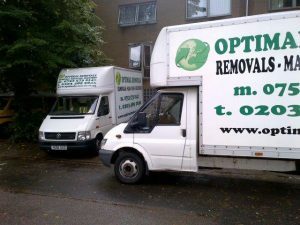 Wherever you’re heading next or coming from, give us a call to find out our rate for your Putney removal.